Customers : These bars are available in their original wooden boxes when ordering in increments of 30. Furthermore each bar is individually vacuum sealed within the box. 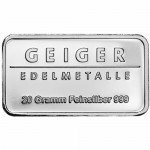 The 500 gram .999 fine silver bar has been minted and refined by the Geiger Edelmetalle Mint which is located in Leipzig Germany. Each bar has been identified with a unique serial number as well as other security features which are displayed on the bar. They make a great purchase for both precious metal investors as well as collectors who are looking for a way to diversify their wealth. 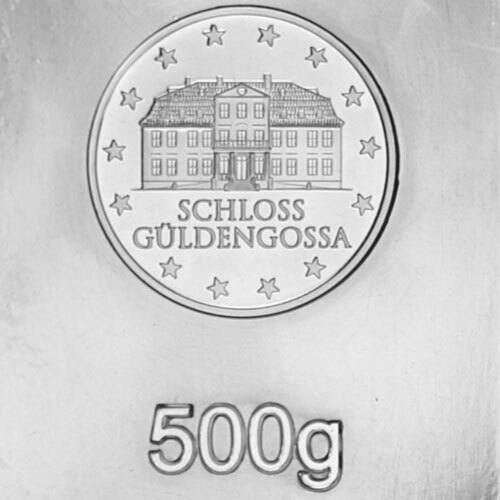 Contains 500 grams of .999 fine silver. Minted in Germany at Geiger Edelmetalle. Design features the image of Schloss Guldengossa castle. Part of the Security Line with added security features. 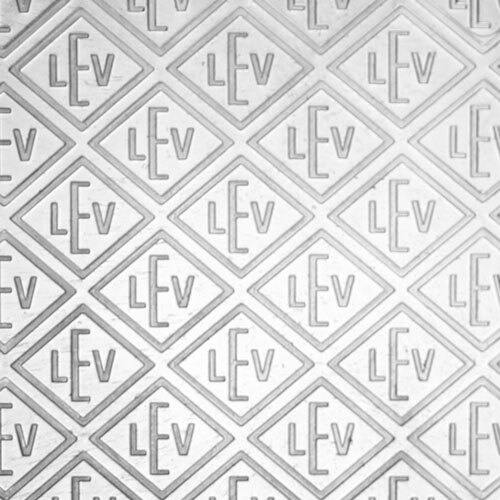 Each bar comes with a unique imprinted security line, which provides buyers with additional peace of mind regarding their purity and their authenticity. Additionally, when you keep the bars in their original packaging, it will allow you to sell these bars in the future without any worry of their authenticity or purity. On the bar, you will see an image of the Schloss Gueldengoss, a baroque castle, which has become a hallmark of sorts for Geiger. 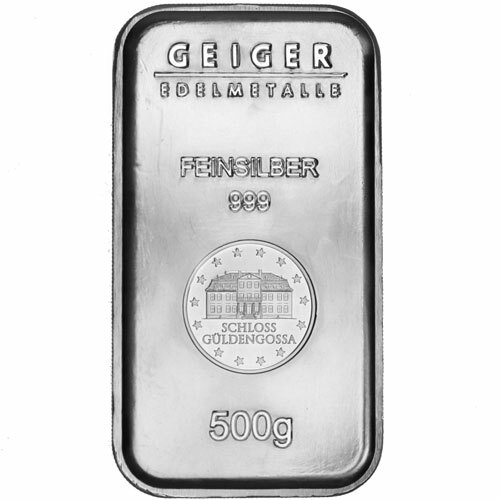 This castle currently stands near Leipzig and has a rich and historic background which has helped it earn the prestigious position on these silver bars. 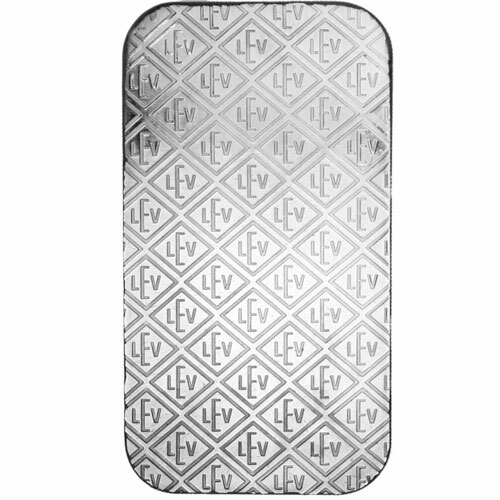 When you purchase these 500 gram fine silver bars you can feel confident that each one is closely inspected prior to being shipped, providing you with peace of mind that you are receiving not only an authentic silver bar, but that it is also composed of only .999 purity silver, making it a smart investment. These bars are ideal for personal collections, as well as to give as gifts for special occasions, such as graduations or weddings. 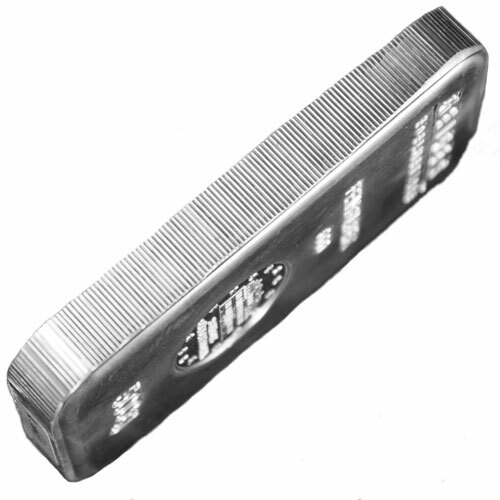 For information regarding our precious metal items such as this 500g Geiger Security Line Silver Bar we can be reached at 1-888-989-7223 or through email. You also have the option of chatting instantly with an agent by way of live chat.